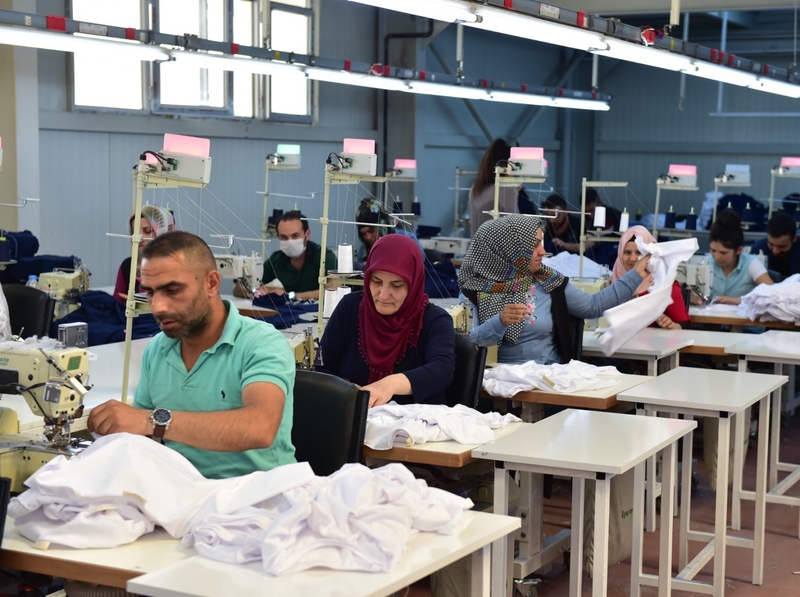 Syrian refugees in Turkey receive inadequate employment support and, when they do find jobs, face mistreatment at work, said a new report from the U.S. think tank Rand Corporation. Syria’s civil war has displaced about 12 million people, including 6.5 million still within the country’s borders. Of those that have fled Syria, Turkey (3.6 million), Lebanon (1 million) and Jordan (660,000) have accepted the most. These are the three countries in which RAND spoke to Syrian refugees to learn more about their livelihoods. On the positive side, more Syrian women are working in their host countries than had been working in Syria, none of the three countries has faced serious unrest because of the presence of refugees, and Syrian entrepreneurs have been particularly active in Turkey, launching more than 10,000 business, according to RAND. Yet many Syrians in Turkey remain unemployed. RAND found that nearly half of the Syrian refugees in Turkey (48%) see low wages as a key obstacle to employment, while more than a third (38%) have difficulty finding work due to their minimal Turkish language skills. In addition, a full 80 percent said they were unable to pay for work permits or residence fees. Interestingly, fewer Syrians in Turkey, across both men and women, are working or willing to work than in either Lebanon or Jordan (see graphic below). This may be because they face greater discrimination and feel less respected, according to the survey. To address these issues, RAND urged Turkey to increase access to work permits, expand Turkish-language training for refugees, as only 11 percent said they had received instruction, link more Syrians to jobs in secondary cities with greater employment demand, and provide transportation to jobs for Syrian women.